Experience newly renovated rooms and upgraded spaces at the Courtyard Rockford hotel. Our Rockford, IL hotel is pleased to unveil Courtyards CYnergy contemporary room design with hybrid zones for working, sleeping, relaxing and getting ready. Technology has changed the way people travel, and our Rockford hotel has responded with a fresh new design, offering guests a relaxing and functional space. The new LoungeAround sofa offers a pop of comfort and color. Indirect lighting and a neutral, tone-on-tone color palette makes for a soothing and calm environment. During your stay at our hotel in Rockford Illinois, enjoy many enhanced amenities, designed to bring maximum comfort during your stay. Experience the Bistro - Eat. Drink. Connect. , Starbucks specialty beverages and free Wi-Fi throughout. After a day on the go, unwind in our swimming pool or keep up with workouts in our on-site fitness center. 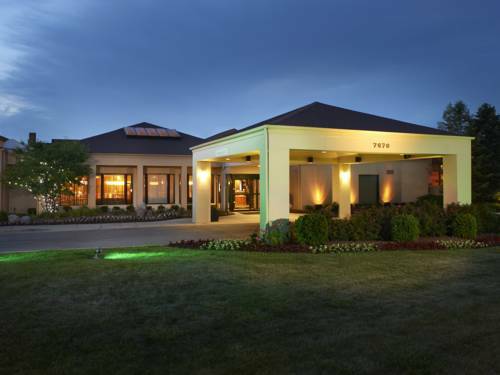 The Courtyard Rockford is convenient to Belvidere, Cherry Valley, Loves Park and many area attractions.